In June, 2016, the state of Colorado passed a law making the intentional misrepresentation of an assistance animal a class 2 petty offense. Now, Colorado is one of 17 states with laws prohibiting people from claiming that untrained animals are assistance animals. (On a related note, some states also prohibit people from falsely claiming they have disabilities.) This is an important “win” in Canine Companions’ quest to protect the rights of the users of legitimate assistance dogs! Canine Companions for Independence has long advocated for legislation to prevent people from fraudulently claiming that their untrained pets are assistance dogs. Three years ago, we started a petition online to present to the Department of Justice to express the need for government regulation. The public response has been overwhelming! It is clear that across the country, more and more people are taking advantage of the Americans with Disabilities Act (ADA) in order to have the convenience of taking their pets out shopping, to local businesses and to restaurants. Colorado Director Paul O’Brien testified on behalf of Canine Companions as the bill was heard in the state House and Senate. We have heard from many graduates across the country on the challenges they face in public when encountering fraudulent assistance dogs. Paul’s testimony advocated on their behalf as well as for the need for legislation that makes misrepresenting an assistance dog a punishable offense. Unfortunately, when people bring their untrained pets out to places at which only assistance dogs have legal access, it often results in pets acting aggressively towards legitimate assistance dogs or acting inappropriately in public. Sometimes, business owners then discriminate against legitimate assistance dogs after experiencing negative situations with untrained pets in their establishments. The lack of public awareness of assistance dogs and the rights of assistance dog users is a big challenge. 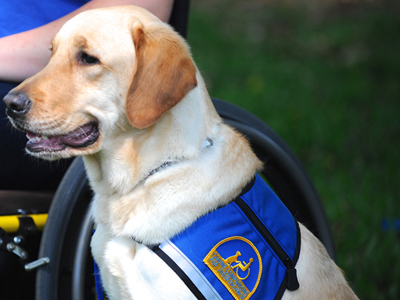 It is deceptively easy to buy assistance dog equipment and even so-called “service animal registrations” online. Of course, the purchase of these materials does not reflect legitimate assistance dog training. However, to the average person, these materials seem authentic. Also, even if business owners are skeptical that an animal in their establishment is a legitimate assistance animal, they are unaware of the questions they can legally ask under the ADA. Those questions are: 1) Is the animal a service animal required because of a disability?and 2) What work or task has the animal been trained to perform? Furthermore, business owners are largely unaware that if an animal is threatening, out of control or not housebroken, they are entitled to ask it to leave. They have this right even if an animal is a legitimate assistance animal. In fact, only dogs and small ponies can have assistance animal status under the law. Although many of the laws regarding intentionally misrepresenting an assistance animal come with light repercussions, we are encouraged that public awareness is growing along with the awareness of our representatives in government. 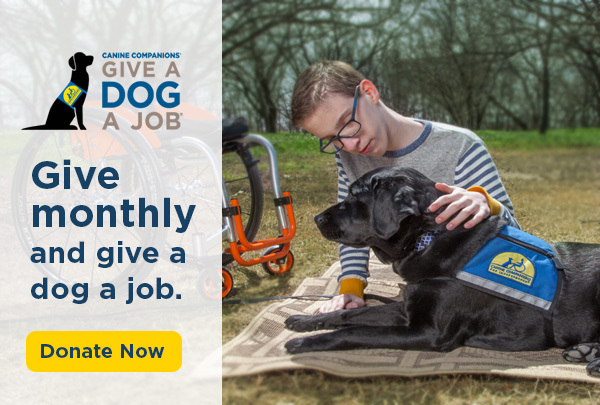 Media representatives may contact the Canine Companions for Independence marketing office at 1-866-CCI-DOGS (224-3647) for more information.